For some reason snowy days make me want to bake. I like the cold still quiet coupled with a warm oven and then smells of fresh baked cookies and bread. We got a light snow over night and slick roads mean my husband is out plowing snow and salting walkways. Leaving me home to work on laundry, binge watch Sons of Anarchy, and do some baking! I decided to make ginger snaps, a crisp cookie full of warm spices, perfect with a cup of coffee on a cold day. I’m still working my way through the Betty Crocker Red Book so I utilized Betty’s recipe. A pretty standard blend of cinnamon, cloves, and of course ginger! The choice of shortening over butter and two tsp of baking powder spoke to the historically crispy texture that this recipe would produce. Ginger snap recipes go back to colonial times. The term snap describes the crispy almost cracker like texture of this cookie. A derivative recipe of gingerbread this was often a dessert saved with tea or coffee. 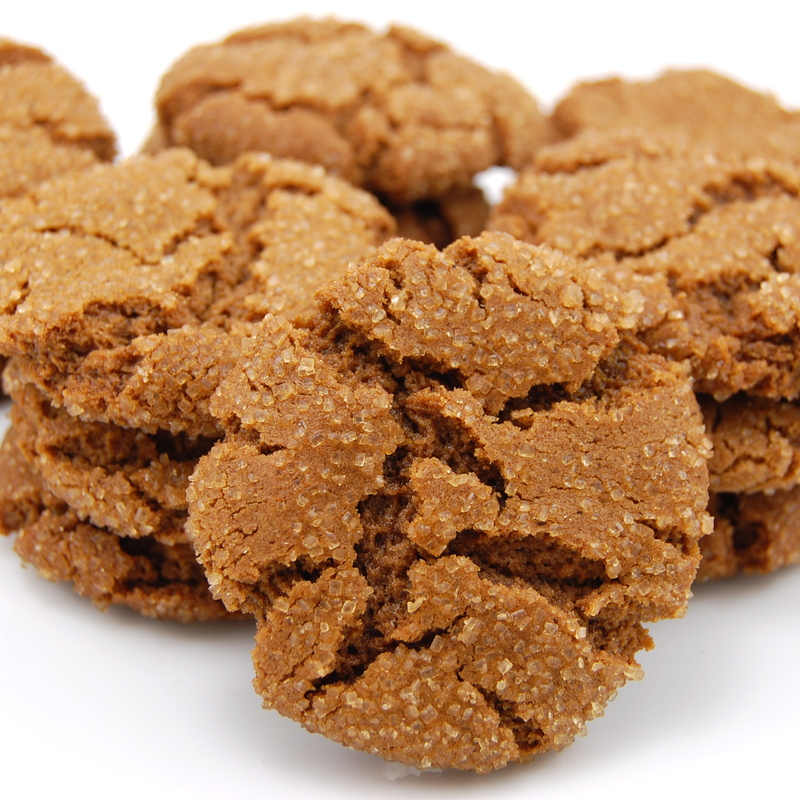 The cookies originally made with molasses instead of refined sugar because molasses was more readily available and much less expensive making this recipe accessible to many financial classes of people. So there’s a little history for you, and now the recipe! Stay warm and Enjoy!